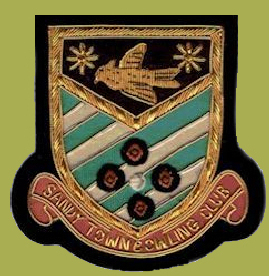 Sandy Town Bowling Club (‘STBC’) is an applicable organisation under the Data Protection Act (1998) and the General Data Protection Regulations (2018). This Policy applies to Personal Information collected by ‘STBC’, and sets out the principles governing our processing of that information, and the way we use, keep secure and disclose it. We will process your Personal Information using your consent as the lawful basis for controlling and processing the data. We will request your authorisation for processing your personal information, as described below, at the time of application or at renewal of membership, whichever comes first. Your authorisation will be reviewed annually at renewal of membership. You can refuse to give consent to any of the individual requests without detriment to your membership of STBC. We limit the collection and use of your Personal Information. When we ask you for Personal Information, we will tell you the purposes for which we will process that information. Such purposes include the following:• maintaining our membership database, to facilitate the administration and management of the Club • contacting you with information relating to your membership, or application for membership, and details of events and other matters which we think will be of interest to you • communicating information to affiliated bowls clubs about fixtures • communicating membership information to Bowls Bedfordshire, Bowls England, and Bowls Development Alliance • communicating information for producing and printing of annual Members’ Handbook. We will not reveal any of your information to any external organisation unless we have previously informed you that this will happen through disclosures or agreement, and we have obtained your authority to do so. Timescale We will store your personal information in encrypted electronic form, and paper-based form, from the point of collection for as long as you are a member of the Club. After you cease to be a member, your personal information will be retained for a period of 3 months, before being deleted/destroyed. After you cease to be a member, you will have the option of giving your express consent for your Personal Information to remain on our database, for the purposes of “Social Membership” relating to STBC news and events only. You have the right to withdraw at any time your agreement to any of the individual consent options, by writing to The Secretary. If now or at any time in the future you decide that you do not wish to receive information from us, please inform the Secretary by email, by letter, or by using the ‘Contact Us‘ form on the website. Withdrawal of consent will be acted on within 3 months. We strive to protect the privacy and security of our database, and to maintain the reliability and accuracy of Personal Information. We will hold information collected by us on a computer and in other forms. Although we cannot guarantee the security of all transmissions of Personal Information, especially where the internet is involved, we take all reasonable steps to prevent this from happening. You accept the inherent security implications of providing information and will not hold us responsible for any breach of security or disclosure of information unless we have been proved to be negligent. b) keep us up to date with changes to your personal information. The people and Organisations who may have access to your Personal Information are • the appointed Committee Members of STBC, who will operate in accordance with data protection protocols • other STBC members • other clubs affiliated to Bowls England • Bowls Bedfordshire • Bowls England • BDA • mprc Digit Media (the Club’s website services provider). We may take photographs of you attending matches or other events and we may wish to use them for marketing and advertising purposes, or publishing on our website. Unless you advise us otherwise, you expressly agree and consent to the use of any photographs which may include you without compensation. We will not use the images taken, or any other information you provide, for any other purpose. We will not include details or full names (which means first name and surname) of any person in an image on our website, on video, or in printed publications, without good reason. For example, we may include the full name of a competition prize winner if we have their consent.